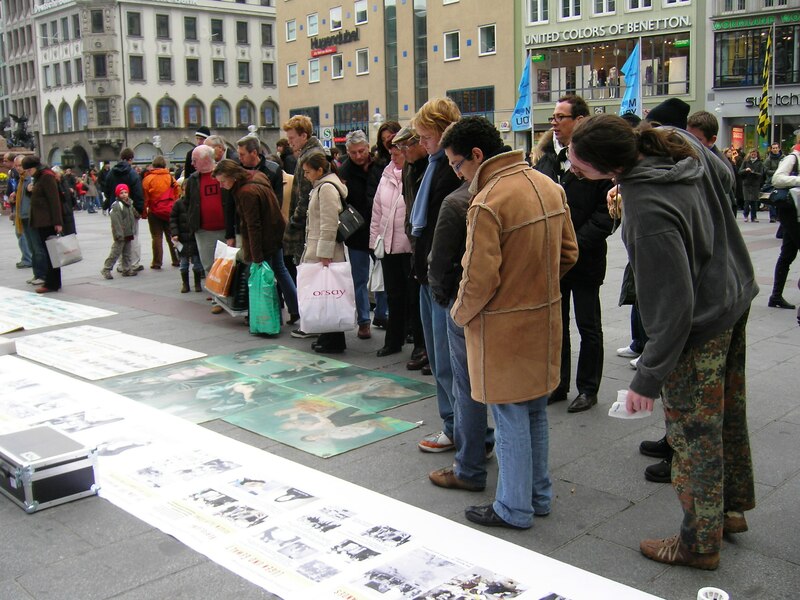 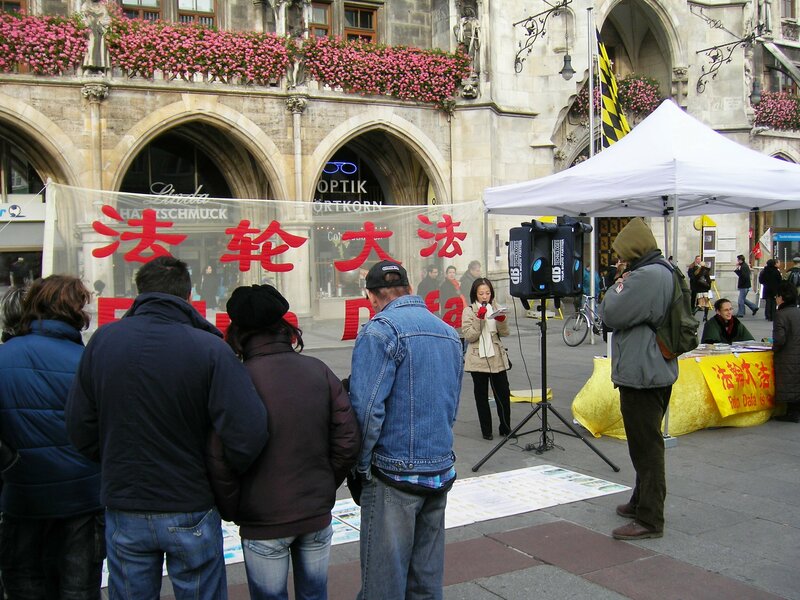 (Clearwisdom.net) On November 4, 2006, Falun Gong practitioners from Munich held activities in the city center exposing the harvesting of organs from living Falun Gong practitioners by Chinese Communist Party (CCP) institutions. 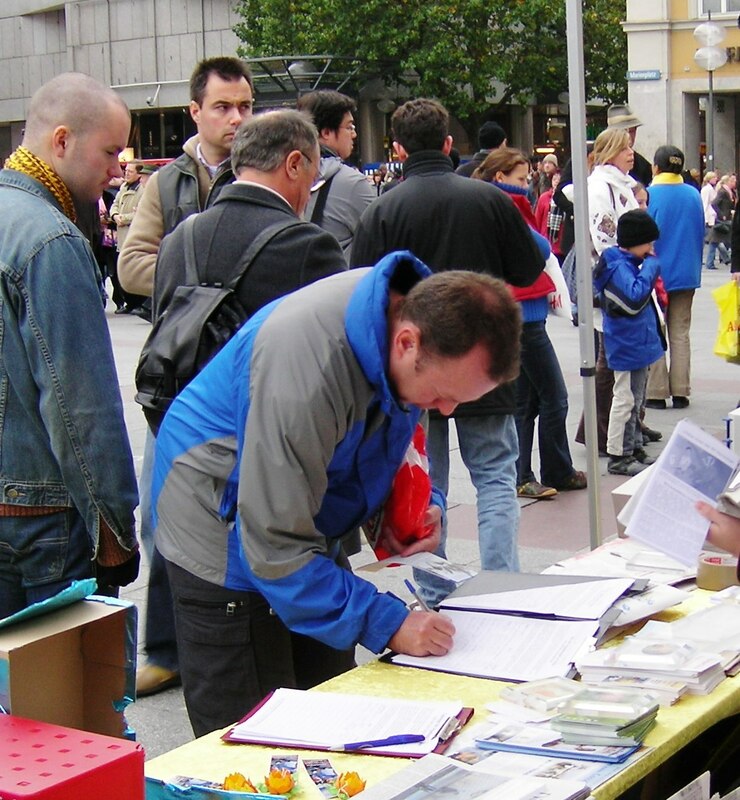 Though the temperature suddenly dropped, many people stopped to find out more about Falun Gong and the human rights abuses against practitioners. 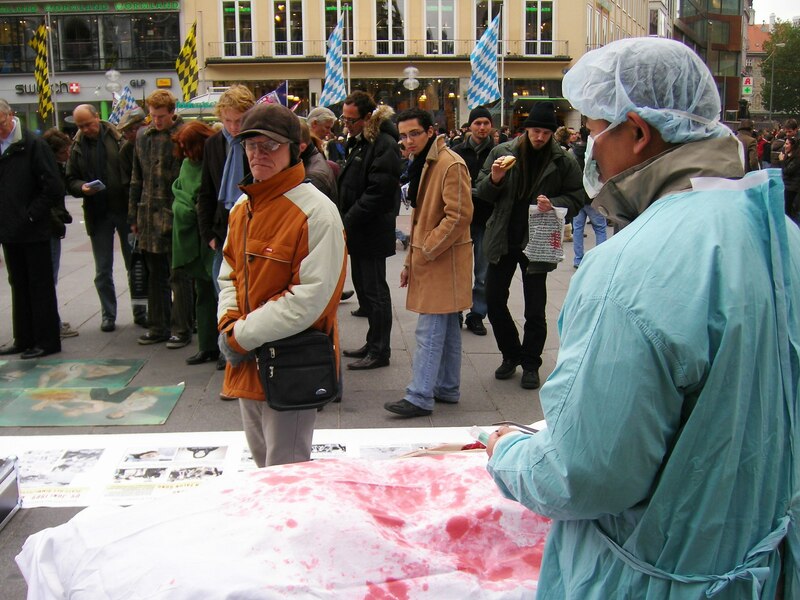 Exasperated by the Chinese Communist regimes atrocities, many kindhearted people signed a petition calling for the German government to take action to put an end to the persecution in China, in particular the harvesting of organs from living Falun Gong practitioners.